The width of the clogs and sandals made on a High, Mid or Low bottom usually fit well for a medium-to-narrow width foot. The models on the comfy bottoms are a bit wider and have a regular fit. In length our clogs are a bit longer in the sizes compared to many Italian and French brands. 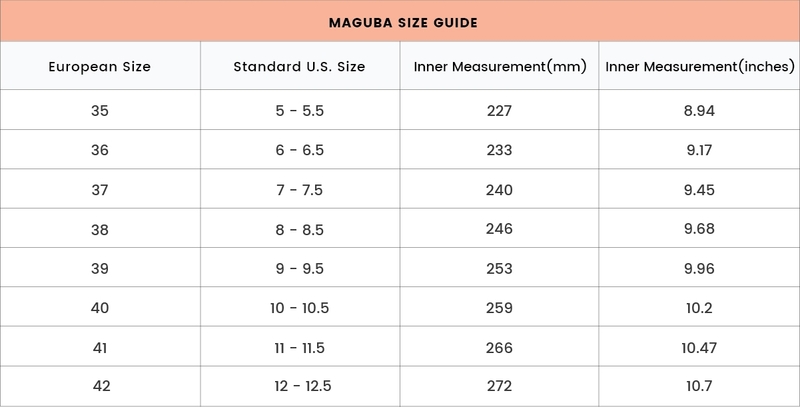 The lenght in mm for each size is as per the table above. Our clog boots are 4 mm shorter than this and we recommend going up one size for the boots.